Craftslane Butterfly. World class Stencils at the most incredible prices! Get them all and create a myriad beautiful backgrounds or highlights on your projects! Use with the high quality Stencil Brushes in varying thicknesses from Craftslane! - If you compare our stencil thickness, size, design quality and prices, you will be amazed at the value that Cutting Edge Stencils offer! Clients can avail our high quality of Designer Wall Stencils that is made from high-grade material and advanced technology. The Damask stencil is made out of durable 125 micron clear plastic stencil material. This material is strong but flexible, reusable and easy to clean. We love it so much more than standard 8 mil Mylar! It's not brittle, user friendly and just so easy to work. Quantity Per Pack: 1 pcs. 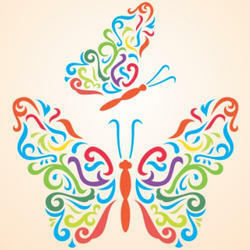 Application: For creating designs on walls. We are offering Wall Stencil to our clients. 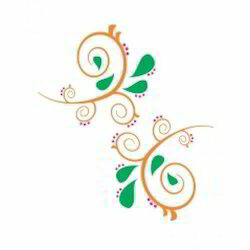 We are manufacturers & suppliers of Full Wall Stencils, Wall Stencils, Designer Full Wall Stencils etc from India. Feeling bore from old plain walls , It will give the new look of walls . Wall stencils give you that same great look and style but without the hassle. Made of waterproof material, this Wall Fashion Stencil is a durable and it can be kept great gloss for a long time. We are a renowned name, which is engaged in offering a wide and comprehensive range of Wall Stencil .